Welcome back to Tuesday’s Slice of Life! We are using #SOL18 as our hashtag when sharing posts on social media. We are glad you are here today to share your writing! Please be sure to read at least 3 other posts and leave comments. Comments help us build our writing community! Several Slicers have reported technical issues when commenting on blogs hosted on Blogger. Essentially, there are some settings that make it difficult for people to comment on posts. In your blog settings, please make sure your CAPTCHA is turned off. When CAPTCHA is turned on, it often makes the page reload two – three times. Sometimes comments are lost when this happens and the user has to retype what they wrote. One personal tip: I use Blogger for my personal blog and for some reason, I cannot go through Google Chrome to comment on blogs. Using Safari as my browser enables me to comment. If you are a Blogger user and also have trouble commenting when using Chrome, you might want to try connecting through Safari or another browser. 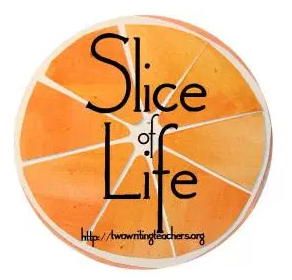 Last week, I shared Amy Krouse Rosenthal’s TED Talk on our call for slices. I found Amy’s talk really thought-provoking and inspiring as we start a new year. 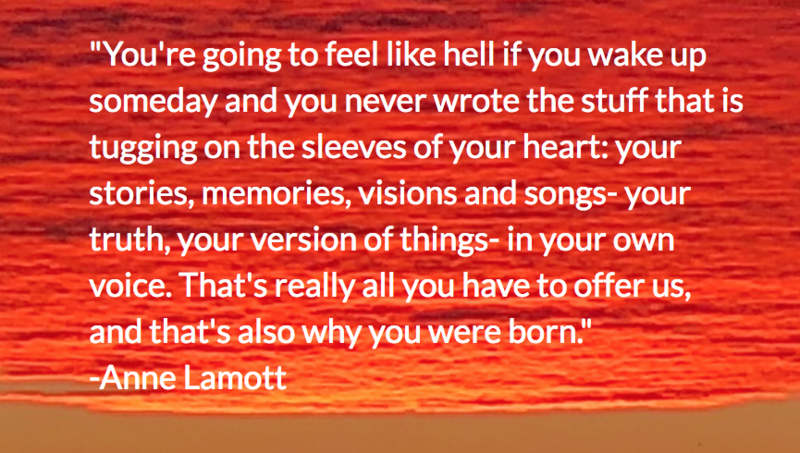 I recently watched Anne Lamott’s TED Talk, “12 Truths I Learned From Life and Writing” and thought it might be of interest to the educators here in our writing community. Two very different interpretations on a day off school. Made it! Second week in a row! It has been a while since I’ve been consistent. Today’s post is about finding the perfect house. Thank you for the quote today!! On this day off from school, I decided to write a “Currently” post with a twist. I wrote about what I am doing now and then also drafted a post to show what I would normally be doing at this time of the day. Happy New Year! It feels good to be back. Starting the year off with my One Little Word for 2018. We are doing AIMSWEB SCREENINGS at school this week. Let’s go on an adventure back in time. Is it true that in our dreams we see ourselves as who we want to be? Finally! My word for the year. A little humor as I wait for the repairman to fix my dryer. Preparing to teach a new group of students with an awe inspiring lesson. We’re habing some tough conversations in my school. A story inspired by a Vermeer painting. When the words just fill your soul and reconnecting with an “edu-hero” . . .
OOOPS – forgot to delete some random thoughts from the end of the first post! Here’s the revised version! Is anyone else having trouble with their log in on Word Press? If so, please contact me! I spent the entire day trying to log in to WPress to bring you today’s post about “unwrapping Christmas.” I hope you like it! Writing it down in hopes of finding some peace.